Where did this summer go?! Seriously. It’s been super busy and I feel like we didn’t get to enjoy a lot of the stereotypical summer activities. 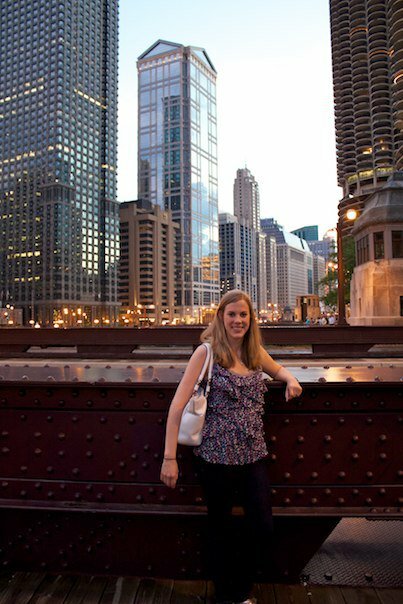 We only got to go up to the lake once and we only spent a couple weekends in the city. Not to say we haven’t been having fun. All these weddings have been a blast, but I might need to give my liver a little rest this fall. To help keep the summer going a little longer I’ve been grilling like crazy. The AC in our new house has a hard time keeping the upstairs cool, so I try to grill as much as possible. 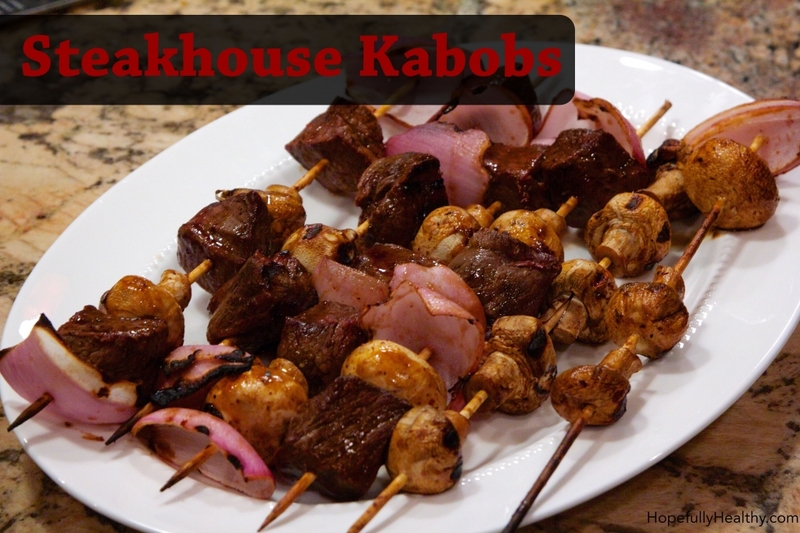 A great method to c00k your meat and vegetables is to make a shish kabob. I just recently became obsessed with these ingenious food sticks. Similar to my last post, Presto! It’s Pesto!, you can use whatever meat and vegetable you like best. I love zucchini and onion, so I use those two a lot. But you could use tomatoes, olives, artichokes, pineapple, peppers…the list goes one. This is a great way to extra meat and veggies sitting in your fridge. The first marinade I make works with pretty much any protein. I’ve made it for chicken, beef and shrimp. 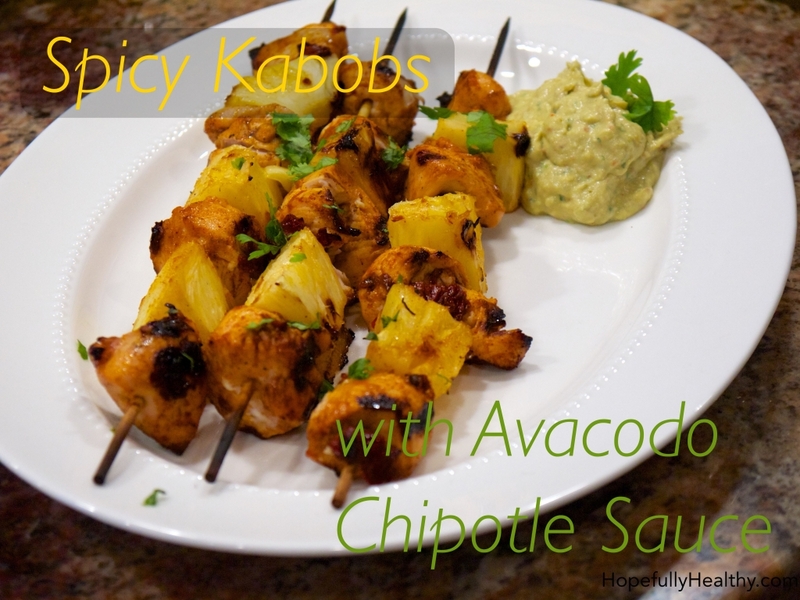 I make an Avocado Chipotle Sauce to compliment the marinade, it’s seriously to die for. I had to keep my sister Lauren from licking the bowl clean when I made it for her. 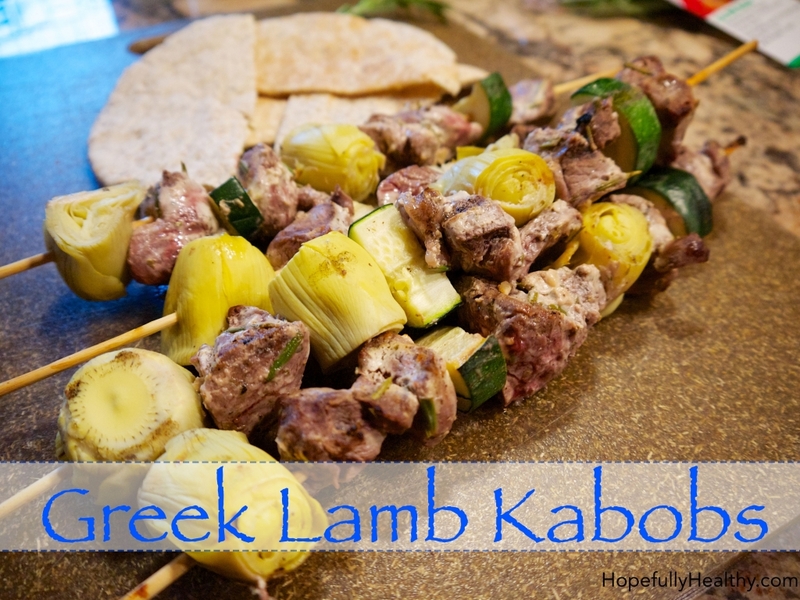 Second, I’ll make Greek Lamb Kabobs. If you have noticed, I’m obsessed with Mediterranean food…I LOVE IT. As I’ve said before, gyros are one of my biggest guilty pleasures. It doesn’t help that theres a place 1/2 mile from our new house that makes AMAZING gyros. I’ve never cooked lamb before but after this recipe, I’ll be exploring more with this delectable red meat! This is easily one of my favorite marinades. It’s so versatile you can make it with pretty much whatever meat you have in your fridge or freezer. I think that is works best with chicken and shrimp, plus it’s less calories than making it with beef. 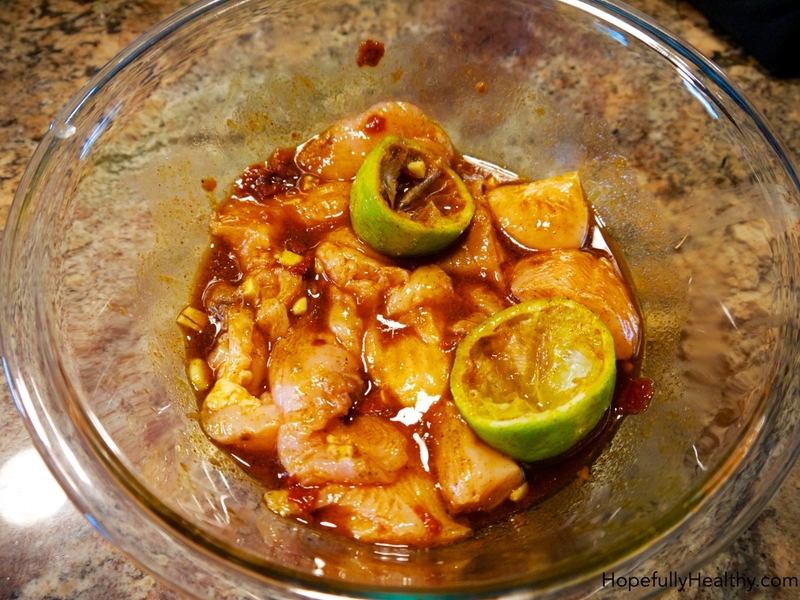 The star ingredient in the marinade and the sauce is chipotle peppers in adobo sauce. I’ve recently discovered these gems and I’m obsessed. They are smoked jalapeños that are marinating is a vinegar based adobo sauce. Nom nom. However, they are very spicy if you don’t remove the seeds. 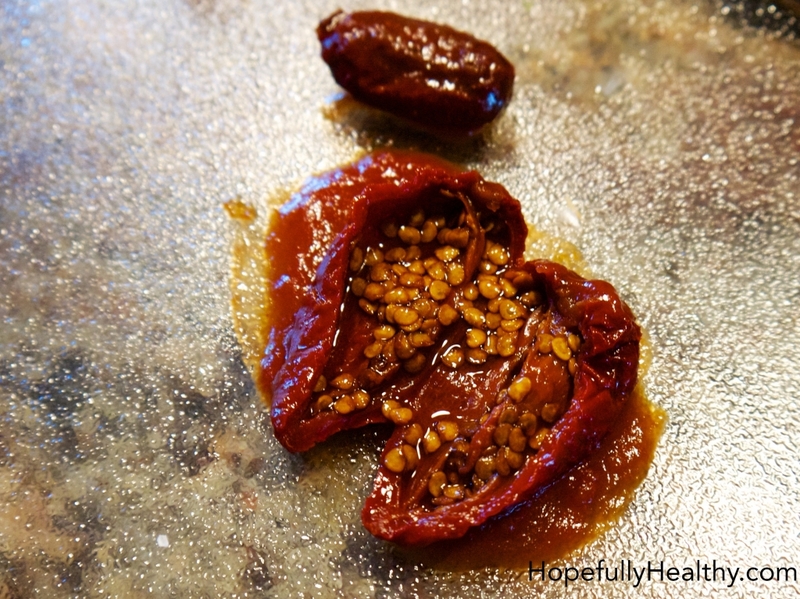 To removed the seeds, cut a pepper open and take out the seeds with a small spoon. Keep them in if you dare, I love spicy food so I keep them in ONLY for the marinade. After seeding the peppers, just throw all the ingredients in a big bowl and whisk everything together. After I zest and juice the lime I put the rind right into the marinade for extra citrus. 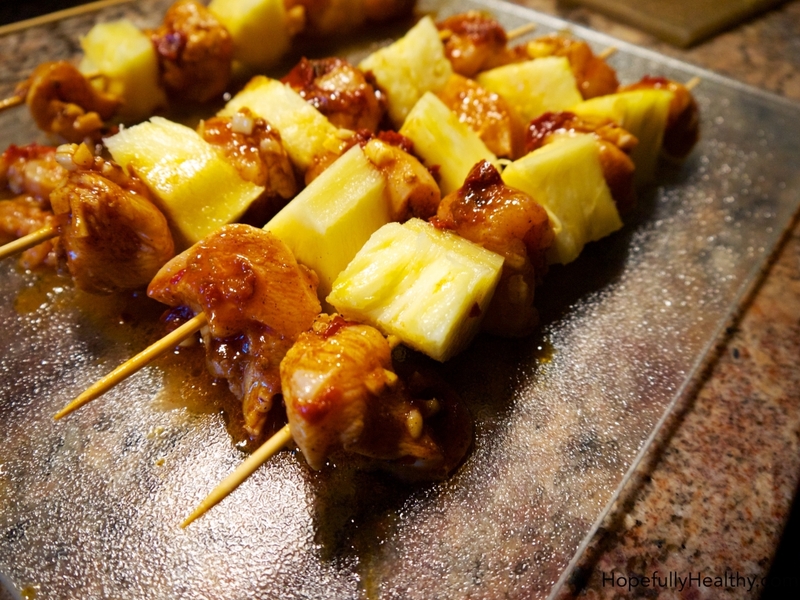 This time I skewered the meat with pineapple for some extra sweetness. Grilled pineapple is soooo good, I recommend trying it if you have some around! I usually make these with onion and tomatoes, but once again pretty much anything will work. Make sure you soak the skewers for at least a half hour so they don’t burn up on the grill. Grill until the meat is done. If you make this with shrimp, it is so quick. So those work well if you are in a rush. This has a lot of Mexican flavors, so serve it with tortillas and rice and beans. You could also grill some corn to avoid using the kitchen at all! The Avocado Chipotle Sauce is amazing and so easy. Just put everything into a food processor. Just make sure to seed the chipotle peppers because they are extra spicy when they aren’t cooked. This sauce is so good you could also make it and serve with tortilla chips for an alternative to guacamole. I wanted to try something similar to my Chicken Gyros, but with red meat. The marinade has many of the same ingredients, but I add in some flavors that compliment the lamb. It’s heard to find leg of lamb that is under three pounds. If you cook this for more than 2 people I recommend going the leg of lamb route. However, for two people the grocery store usually has lamb stew meat that works really well and is usually only a pound. 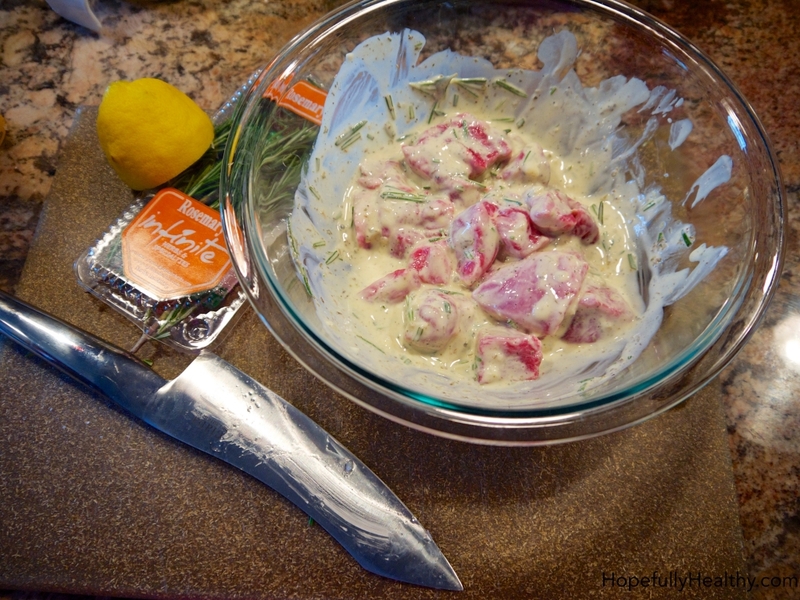 I use greek yogurt as the base, it’s awesome in marinades and it helps tenderize the meat. I also use lots of fresh rosemary, oh it smells so good. Put everything in a bowl, mix, season the meat and then throw it in. I skewered it with artichokes and zucchini, but to get the full gyros experience make it with tomato and red onion. Serve with Tzaztiki and you have an amazing greek dinner. This seriously turned out better than I expected. 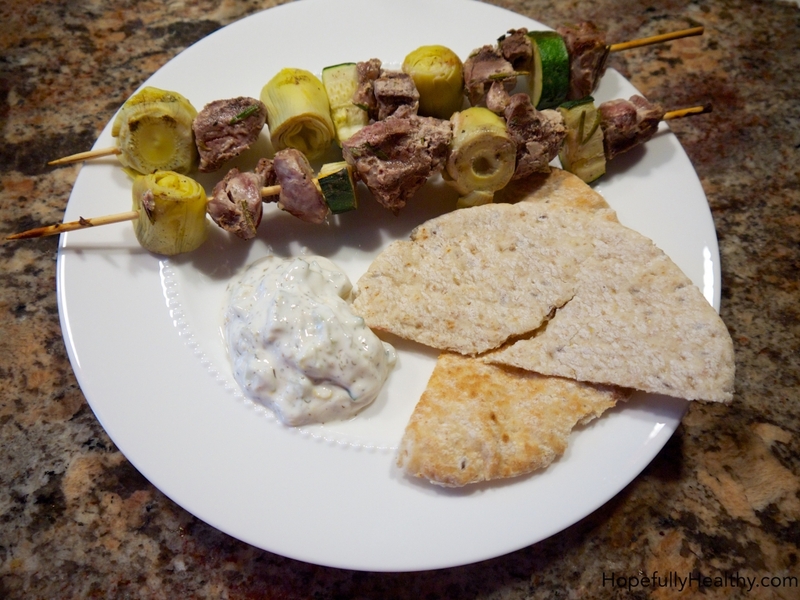 The greek flavors of the marinade really compliment the lamb, and it’s surprising how much it tastes like a gyros. It was also a nice change because it’s different than the normal chicken and beef kabobs. As my family knows, I LOVE A1!! I seriously could put that stuff on anything. That’s when I came up with the ingenious idea to marinade some steak with A1 to make a kabob with everyones favorite steakhouse flavors. You can use a variety of cuts of beef for these, it just depends on how much money you want to spend and how lean you want the meat. You can use tenderloin, top sirloin, even filet if you’re feeling classy. I just get the stew meat that is already cut, but it isn’t as tender as other cuts. For the marinade, throw everything is a big bowl (seeing a pattern here). Before putting the meat into the marinade, set about 1/4 cup aside to use later. Once again, the longer you let the meat marinate, the more flavor the meat will have. I like to make this with mushrooms and onion. Right before you make the shish kabobs, toss the mushrooms in the marinade too. Grill the meat to preferred done-ness, it should only take 10-15 minutes. Then right before taking the kabobs of the grill, brush them with the remaining marinade. Serve with potatoes, I like baked or french fries. These are great for the end of grilling season. You can even make vegetable versions of these as well. 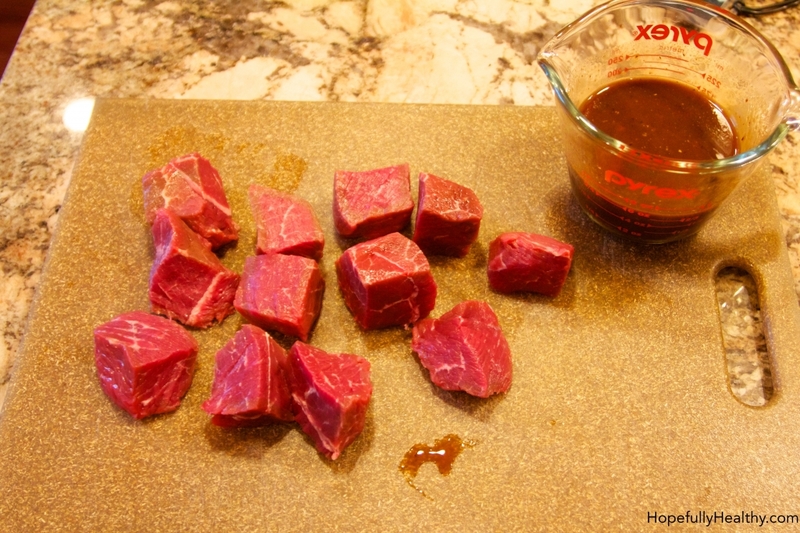 It’s easy clean-up, just use one bowl for the marinade and a cutting board to cut up the meat and make the kabobs. I hope everyone is liking the recipes! If you haven’t subscribed yet to my blog, please do! I promise you won’t get lots of junk mail, only when I make a new post. If you have any requests for things you would like me to cook, please send them my way. Have a great week everyone!